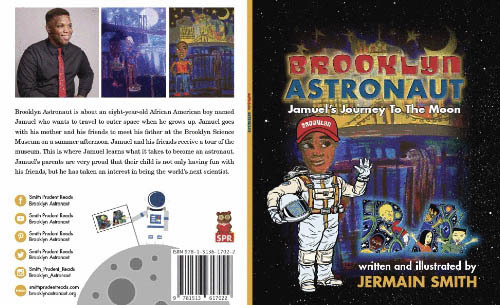 Brooklyn Astronaut is about a eight year old African American boy named Jamuel, who wants to travel to outer space when he grows up. Jamuel raised in a two parent home goes with his mother, Rebecca, to meet his father, Eddy, at the Brooklyn Science Museum on a summer afternoon. On there way to the Science Museum, Rebecca stops by all of Jamuel's friends houses so they can also join in the fun. On everyone's arrival to the science museum, Eddy has one of his coworkers show Jamuel and his friends a tour of the museum. This is where Jamuel learns what it takes to become an astronaut. Jamuel parents are very proud that their child is not only having fun with friends, but also has taken an interest in being the world's next future scientist.